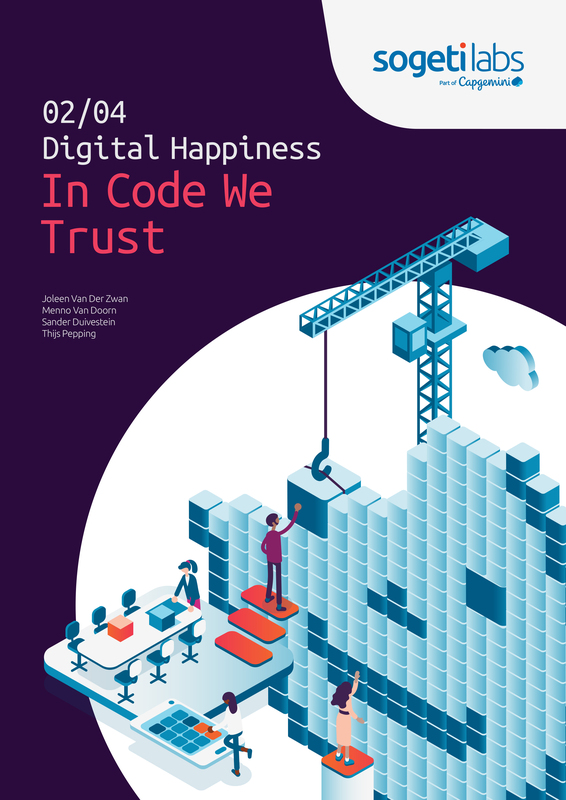 "In Code We Trust" is the second report, in a series of four, on our new research theme “Digital Happiness”. Trust is one of the six key variables that have been found to support wellbeing according to the World Happiness Report of 2018. Trust and happiness are closely related. For instance, societies that show high corruption rates, lose their trust and are amongst the unhappiest countries in the world. For our wellbeing and happiness, the trust we can put in friends and families, organizations and institutions are key. And since trust has become such an important part of the current tech-debate, we decided to investigate the concept more in depth. “Who can we trust?” and “How do we organize trust?” are the leading questions.